Get the right look for your company and staff by selecting from as little or as many products as you want access too on your own bespoke ordering portal. Your account manager can work with you to create a simple easy to use portal were you and your staff can order from. 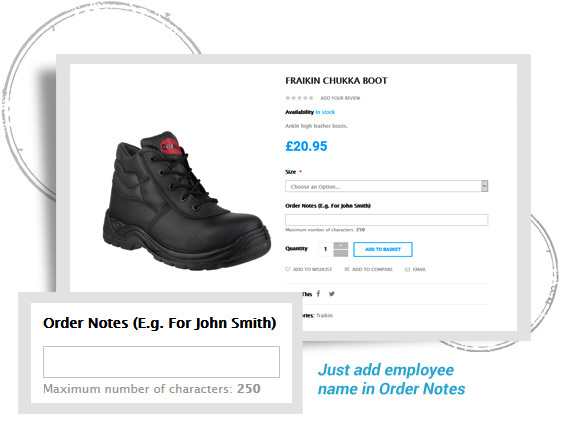 Our easy to use online portal makes adding staff names to despatch notes easier than ever, you can add their name to each item you want them to receive making taking the deliveries and distributing to staff so simple and leaving no room for errors. You can order as little or as much needed for each staff member. Once your key account portal is open we can set the credit terms so that all you need is a company PO number to place your order. You can save different address for delivery to difference sites if needed meaning direct fast despatch to your staff. Our staff will work with you to ensure you have selected the perfect products for your company. 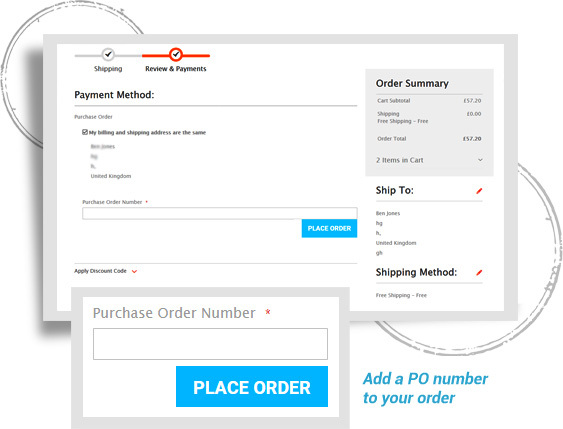 With only three steps to place an order no matter how big or small makes uniform ordering a breeze. 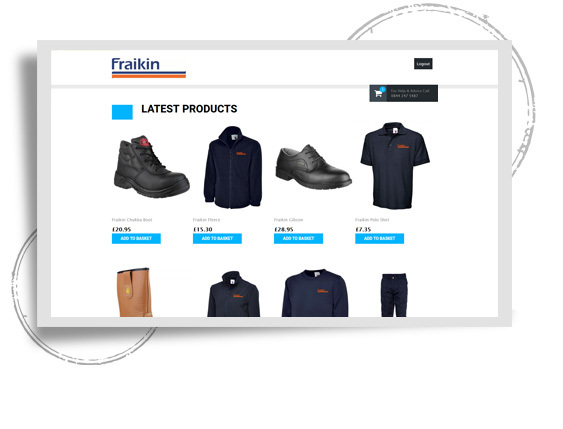 Using the online portal has made ordering your staff uniforms hassle free ensuring no errors are made in the ordering process. Our team of experts with create designs and ensure your staff uniform is exactly as required.